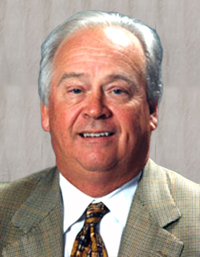 James Andrews, MD, is a founding member of The Andrews Institute and Andrews Orthopaedic & Sports Medicine Center in Gulf Breeze, Florida, as well as the Alabama Sports Medicine and Orthopedic Center (ASMOC), and the American Sports Medicine Institute (ASMI) in Birmingham, Alabama. Dr. Andrews is best known as physician to some of sport’s greatest professional athletes. Dr. Andrews is internationally known and recognized throughout the world for his scientific and clinical research contributions in knee, shoulder and elbow injuries, and his skill as an orthopedic surgeon. Involved in education and research in sports medicine and orthopedic surgery, he has made major presentations on every continent, and has authored numerous scientific articles and books.